Gregg Krech has served as the Executive Director of the ToDo Institute since 1992. 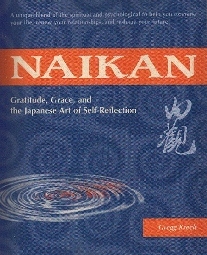 Gregg is one of the leading authorities on Japanese psychology in the United States and the author of several books including the award-winning book, Naikan: Gratitude, Grace and the Japanese Art of Self-Reflection (Stone Bridge Press). His work has been featured on public TV and radio, and in books, professional journals, and magazines such as Body & Soul, Utne Reader, Cosmopolitan, SELF, Tricycle, and Counseling Today. He is the Editor of Thirty Thousand Days: A Journal of Purposeful Living and frequently conducts programs for audiences ranging from Zen Center students to mental health professionals. We accept Visa or Master Credit Card Payments at todoinstitutebooks.com. We also take Check/Money Order for your convenience. If you wish your customer details to be deleted after your purchase from todoinstitutebooks.com - please email us and we will completely delete all your details. We will NEVER give anyone any of your personal details. If you have any Question, please feel free to Contact us.